Westshore and Downtown are two business districts in constant motion. With diverse neighborhoods and businesses located along this corridor, movement between them must improve to support economic vitality. The Westshore to downtown Tampa corridor is essential for the movement of people and goods throughout Tampa and the region. The corridor also supports the mobility of recreational travelers and tourists. The interchanges that anchor each end of this corridor are being modernized to meet current and projected travel demands. 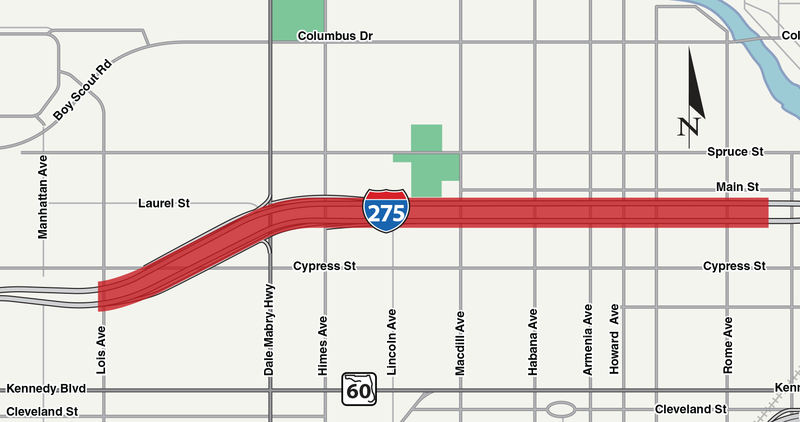 Congestion on this corridor is a result of constant movement between and through the Westshore area and downtown Tampa business districts. This Tampa Bay Next interstate improvement program also will provide opportunity for transit integration and include a 44-foot median to support future transit. 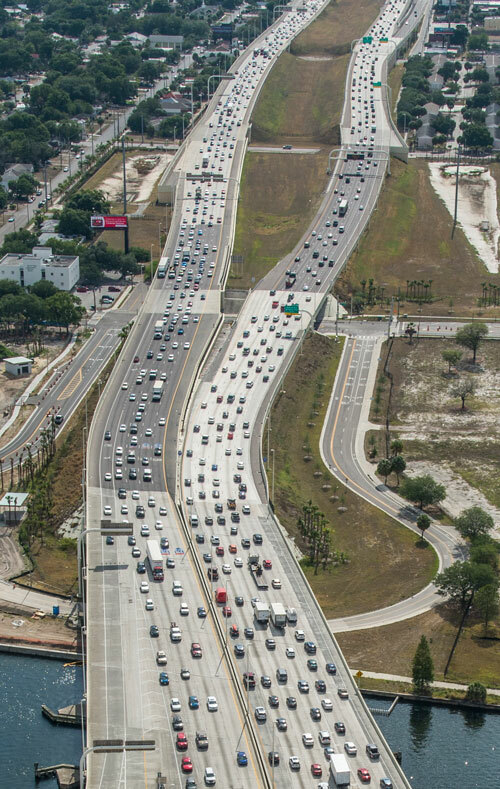 The Westshore Area Interchange, the Westshore to Downtown Corridor, and the Downtown Interchange projects are all part of a long-standing plan to improve and modernize Tampa’s interstate system, originally called the Tampa Interstate Study (TIS). The TIS required the most rigorous evaluation process in transportation planning – an Environmental Impact Statement (EIS). In response to community feedback, FDOT is working with the Federal Highway Administration to prepare a Supplemental Environmental Impact Statement (SEIS) to determine the preferred alternative for improving Tampa’s interstates and evaluating potential impacts. Express lanes are one of the concepts being evaluated in the SEIS. FDOT is evaluating alternatives and inviting the community to share additional concept ideas.  During October 2017, FDOT held a public meeting to review the concepts and get community input on which concepts will be carried forward for detailed study. A second public workshop is scheduled to take place in mid 2019. Find additional event information on the Outreach Calendar. To view concept plans for the Westshore to Downtown Corridor, please click here. For more information on the SEIS, click here.